We all have our favorite cookie recipes--you know, the ones we pull out every year to make for our families. These recipes either were passed down or just started and stuck. One year I made cinnamon rolls for breakfast on Christmas morning. The following year my son's school did a video of the kids telling their favorite tradition. Nate said it was the cinnamon rolls we had Christmas morning. What? We did it once, and it is your favorite? Needless to say we now have them every year. So here are a few of our favorite recipes and where they came from. When my boys were growing up we had season passes to Dollywood. They have great Christmas shows. One of our favorites was Twas' the Night Before Christmas, a story of a little girl's Christmas wish to have her family together for Christmas. Well in the show, there are these mice that are trying to find the house in the neighborhood with Santa's favorite cookies: snickerdoodles. In the end, a white-bearded stranger grants her wish and gets the mice the cookies. This past week we went to Dollywood for the Christmas show for the first time in five years, and it was still there! We were so excited. Well, I'm fairly confident my sixteen year old wasn't excited, but he watched it anyhow. So recipe number one is Santa's Snickerdoodles. This next cookie recipe has been passed down from my mom's grandmother. They are heaven in a cookie. Because of our eternal love of the Mounds candy bar, these next cookies, which are featured on the right in the blurry photo below, have become a staple. We've been making them for at least fifteen years! 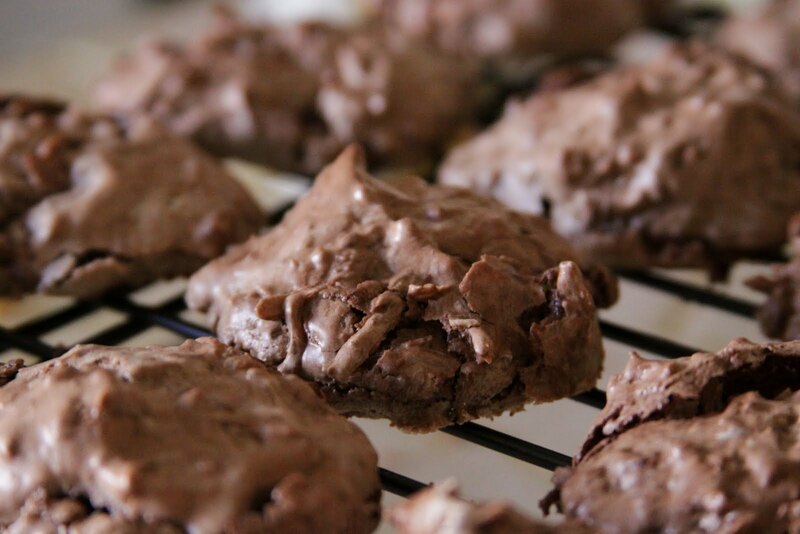 They are the easiest cookies to make (as long as you use parchment paper). 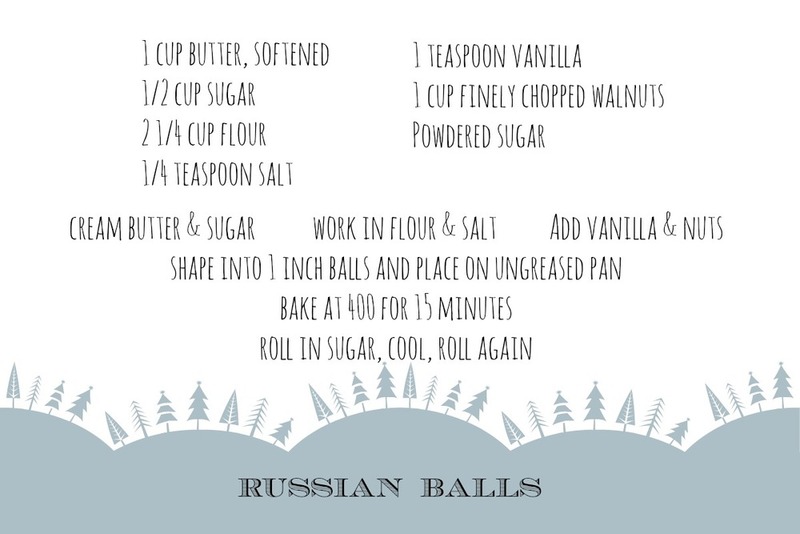 And the last one for this post is my favorite: Russian Balls. We usually don't start baking until Christmas week so that we aren't sick of eating cookies by the time Christmas comes. We hope that you plan on making some favorites for your family this year. There is nothing like putting out a tray of home-made cookies for family and friends.